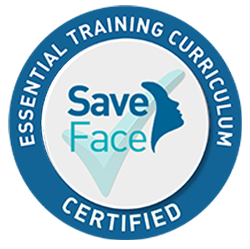 The Face And Body Practice is a regulated advanced skin treatments company. 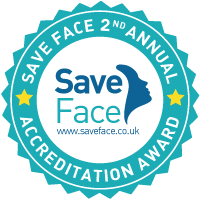 Our primary aim is to improve patients self-confidence and self-esteem through enhancing the appearance and condition of the skin on the face and body. Reversing the signs of prematurely ageing skin. Enhancing features through face and body contouring. Please look forward to a warm welcome. As usual when I visit FAB, the ladies are always polite and courteous. I always get an excellent service, Noelene is lovely and makes me feel at ease, she is friendly and professional, I won’t go anywhere else for my treatment. My facial was really relaxing and the therapist was calming. She really took time to explain what the skin analysis machine had found before my facial started. This facial felt far more comprehensive than I had experienced previously in hotels and spa yet equally as luxurious. Thank you Kelly-Anne, I’ll be back for another next month. Kelly-Ann is always very friendly and knowledgeable about which treatments are suitable for me. Always get great results! FAB Practice is a very professional clinic. From the time I arrived I was made to feel comfortable and relaxed and the therapists were friendly and professional. The FAB environment is homely yet sophisticated and I really liked the skin care products used, which I now use everyday. I would highly recommend this great clinic for a caring, professional yet and almost boutique feel. Thanks FAB for being fab! I have been visiting The Fab Practice since it opened . I have had several treatments by the wonderful Wynand ,and also regular treatments by the fantastic team of girls . The practice is bright, welcoming and comfortable. All of the staff are professional and caring, and you immediately feel at home. The Fab Practice team are friendly and also highly professional. I would recommend anyone to visit and try out some of their wonderful treatments. Top marks to The Fab Practice !